21 September 1914: Entered the Army as a War Volunteer in the Replacement Battalion of Füsilier-Regiment Feldmarschall Graf Moltke (1. Schlesisches) Nr. 38. 3 June 1915: In the field with Fusilier Regiment 38. 12 February 1915-28 April 1915: In the Lötzen Fortress Hospital. April 1915: Fahnenjunker in Fusilier Regiment 38. January 1916-March 1916: Detached for War School Courses at the War School of the VI Army Corps. 2 November 1916-10 November 1916: Detached to the Platoon Leader Course in Neuflize. 28 November 1916-5 December 1916: Detached for training in the Telephone Double Platoon of the 11th Infantry Division. 23 March 1917: Leader of the Signals Detachment of Fusilier Regiment 38. 15 February 1918-26 February 1918: Detached to the Namur Signals School. 10 May 1918: Regimental Signals Officer on the staff of Fusilier Regiment 38. 10 December 1918: Adjutant of the III. Battalion of Fusilier Regiment 38. 1 June 1919: Leader of the Signals Company of the I. Battalion of Fusilier Regiment 38. 1 October 1919: Transferred to Reichswehr Infantry Regiment 11. 30 September 1920: Separated from the Army. 1 May 1924: Reactivated in the Army and appointed a Company Officer in the 7th Company of the 7th (Prussian) Infantry Regiment. 13 October 1924-31 October 1924: Detached to the Machinegun Course in Döberitz. 27 July 1925-15 August 1928: Detached to the 3rd (Prussian) Pioneer Battalion. 21 September 1925-13 November 1925: Detached to the 3rd (Prussian) Pioneer Battalion. 1 July 1926-30 September 1926: Detached to the 5th Artillery Regiment. 1 October 1926-20 February 1927: Detached to the Weapons School Course in Dresden. 1 October 1928-30 September 1930: Detached to the 3rd (Prussian) Motorized Battalion. 1 January 1930: Transferred to the 1st (Prussian) Medical Battalion. 1 October 1931: Transferred for Leader Assistant training with the staff of the 5th Division. 1 October 1933: While retaining his previous position, placed at the disposal of the Chief of the Army Command – clandestine General Staff training. 1 July 1935: Detached to the 5th Department of the Army General Staff. 1 May 1936: Transferred to the 5th Department of the Army General Staff. 12 October 1937: Chief of the 1st Company of Motorcycle Rifle Battalion 3. 3 May 1938-12 May 1938: Detached to the Course for Battalion Commanders at the Döberitz Infantry School. 1 January 1943: Army High Command Leader Reserve. 5 January 1943-6 February 1943: At the same time, detached as First General Staff Officer to the Division Leader Course in Berlin. 15 March 1944: Detached to Army Group South on the Eastern Front. 1 June 1944: Commander of the 8th Panzer Division on the Eastern Front. 20 July 1944: Army High Command Leader Reserve. 1 September 1944-8 May 1945: Chief of the General Staff of the Deputy Commanding General of the III Army Corps and Commander of Wehrkreis III, Berlin. 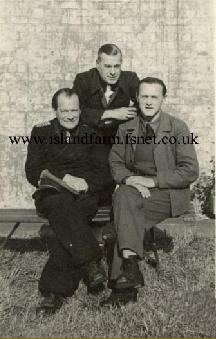 8 May 1945-May 1948: Prisoner of war in British captivity. Knight’s Cross of the Iron Cross: 21 April 1944, Oberst, Leader of a Gepanzertes Verbandes [Armored Formation] of the 8th Panzer Division. German Cross in Gold: 30 May 1942, Oberst, Chief of the General Staff of the XXXXVIII Panzer Corps. NOTE: Generalleutnant Helmut Friebe (born 4 November 1894 in Droschkau/Kreis Namslau/Schlesien; died 14 January 1970 in Friedrichshafen), also a recipient of the Knight’s Cross of the Iron Cross, was the older brother of Generalmajor Werner Friebe. Both officers began their military careers in the same regiment: Füsilier-Regiment Feldmarschall Graf Moltke (1. Schlesisches) Nr. 38. 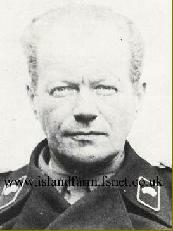 Generalmajor Friebe served under three commanding generals during his final wartime assignment: General der Infanterie Joachim von Kortzfleisch, March 1943-January 1945; Generalleutnant Bruno Ritter von Hauenschild, January 1945-March 1945; and General der Pionere Walter Kuntze, March 1945-May 1945.